AFC - 09/13/11 Dog Killers Should not Adopt Animals! 09/13/11 Dog Killers Should not be Allowed to Adopt Animals! Animal Friends asks for termination of contract between the City of Osijek and convicted veterinary station Vetam d.o.o. Animal Friends for months points towards the constant violation of the Animal Protection Act in the Veterinary clinic Vetam d.o.o. and protests against animal killing. Based on numerous complaints from disgruntled citizens of Osijek and newspaper articles, Animal Friends filed misdemeanor and criminal charges against the veterinary station Vetam d.o.o. in April this year. Criminal charges have been rejected, while the Offence court of Osijek imposed a sentence of 10,000 kuna to Vetam due to the illegal killing of six dogs. Employees of the "shelter" killed six Rottweiler on suspicion of aggression in March, although subsequent analysis revealed that the dogs have not bit anyone. This kind of euthanizing is prohibited by the Rulebook on dangerous dogs, which regulates the procedure regarding aggressive dogs. Dejan Todorovic, director of Vetam, claimed that he euthanized dogs at the request of the owner, which is also illegal because aggressive dogs must be evaluated by trained personnel. It is unclear how a person who is not familiar with the Croatian legislation regarding dogs can run a shelter registered by the Ministry of Agriculture, Fisheries and Rural Development and whether the authorized Ministry conducts education for directors and employees of shelter that are registered. And also, how ethically correct is that caretaking of abandoned animals is led by a person who easily and without compassion kills innocent living beings, and do citizens actually want such a person for a shelter manager? Animal Friends has sent a letter to all veterinarians, in which it draws attention to the illegality of such actions and urges to respect the Animal Protection Act. The public is particularly interested in the adequacy of the profitable contract between the convicted Vetam and the City of Osijek and spending public money. The City of Osijek has contracted with Vetam in March 2010 in which its work for animal care was approved by 6,325.000 kuna without taxes for a period of four years, which is highly inappropriate considering how Vetam operates and how they treat the animals. The period of four years is an additional inappropriate step because the City of Osijek should aim for building their own shelter and thus offer far better care for abandoned animals. Vetam d.o.o. keeps dogs in cages which do not satisfy minimal hygienic conditions, where the dogs can hurt themselves on the rusty fences. The cages are not cleaned regularly so water bowls get soiled with hair and other wastes. Animals that are placed in inner cages don't have sufficient amount of light due to the very small windows of the building. It is surprising that such a facility can be licensed to operate by the Ministry of Agriculture, Fisheries and Rural Development, although it is not in accordance with minimal requirements regulated by the Rulebook on conditions which must be satisfied by animal shelters and hygienic services. It is obvious that the authorized veterinary inspectors do not enforce the Animal Protection Act for whose well-being they are responsible. At the same time, the association Victories from the same town, which runs a real dog shelter, receives 120,000 kuna annually. Members of the association invest tremendous efforts to register their shelter at the Ministry of Agriculture, Fisheries and Rural Development. This would make the city of Osijek cover everything the Animal Protection Act requires and more for the benefit of a whole community – a shelter for neglected animals which no one would be ashamed of, a place were animals stay until they find a new caretaker, which regularly advertises its residents so they can be adopted as soon as possible, implements spaying/neutering programs which in addition to the animal protection, have an educational function. 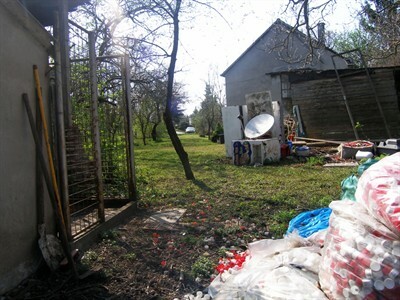 Taking care of abandoned animals and injured cats is not resolved in Osijek. There is no specific feeding areas for cats, and cat spaying/neutering programs are not implemented by financial support of the city. Moreover, it is forbidden to feed animals in public areas by the city’s decision, while citizens are not provided with any alternative solution, which is unconstitutional and contrary to the Animal Protection Act. 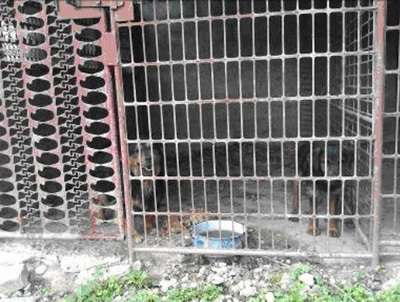 The City of Osijek, by its contract with Vetam, supports illegal "caretaking" of abandoned animals. It also violates the Animal Protection Act because it doesn't have an organized informative center, there is no resolved issue of taking care of cats, there are no adoption, spaying/neutering and educational programs. Therefore, Animal Friends sent a letter to the mayor of Osijek, Kresimir Bubalo, in which it seeks to immediately cancel all contracts with the veterinary clinic Vetam d.o.o.